All Pen wants is to be the kind of girl she's always been. So why does everyone have a problem with it? All Pen wants is to be the kind of girl she's always been. So why does everyone have a problem with it? They think the way she looks and acts means she's trying to be a boy - that she should quit trying to be something she's not. If she dresses like a girl, and does what her folks want, it will show respect. If she takes orders and does what her friend Colby wants, it will show her loyalty. But respect and loyalty, Pen discovers, are empty words. 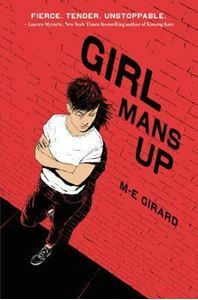 Old-world parents, disintegrating friendships, and strong feelings for other girls drive Pen to see the truth - that in order to be who she truly wants to be, she'll have to man up. Set in rural Montana in the early 1990s, emily m. danforth's The Miseducation of Cameron Post is a powerful and widely acclaimed Young Adult coming-of-age novel. Why fall in love if you have to keep it a secret? Three women - three secrets - one heart-stopping story.